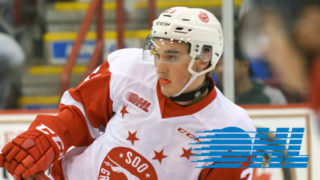 The month of November concluded the same way it began for the Soo Greyhounds. Along with extending their winning streak to twelve games, the Hounds took over sole possession in the West Division and Ontario Hockey League with a 7-5 victory on Thursday Night. 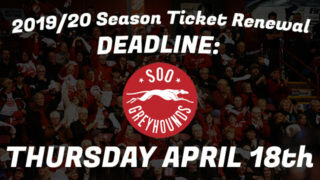 The win improves the Hounds record to 21-3-2-0, good for 44 points, one better than the Sarnia Sting. 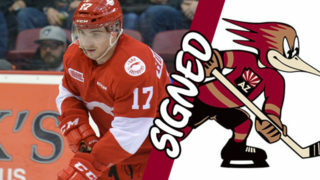 MORGAN FROST paced the Greyhounds attack with a 4-point night (1G, 3A) while both defenceman CONOR TIMMINS and forward RYAN ROTH each had a two-goal night. The Greyhounds recorded a season-high 50 shots against Petes netminder Dylan Wells. READ FURTHER MEDIA COVERAGE BELOW. The Eastern Ontario roadswing continues TOMORROW NIGHT (Fri. Dec 1) when the Hounds make their only visit to Kingston. Game time is 7:05 PM from the KRock Centre. Fans can hear all the action beginning with the Soo Video TV Pre-Game Show on Rock 101 (101.3 FM or online) or watch on ShawTV starting at 7 PM. When you’ve won 12-straight games and 21 of 26 to start the season, not all of them are necessarily going to be pretty. 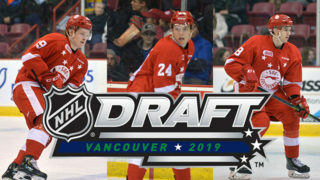 For the Soo Greyhounds, that was the case on Thursday night. A pair of goals in the third period were the difference as the Greyhounds opened up a three-game Ontario Hockey League road trip with a 7-5 victory over the Peterborough Petes at the Peterborough Memorial Centre. Morgan Frost scored the game-winner with just under six minutes to go in regulation time and Barrett Hayton sealed the win with an empty net goal with 1:04 to go in a game that the Greyhounds will happily take the two points from. 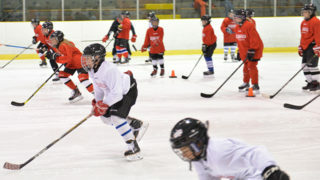 “We were pretty sloppy defensively but anytime you’re this hot, you find ways to win games,” said Greyhounds defenceman Conor Timmins, who scored a pair of goals. 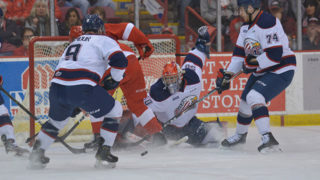 Frost had a goal and three assists for the Greyhounds, who have scored 23 goals in their last three games and 65 goals during the winning streak. “Our offence is definitely clicking and that’s nice to see,” Frost said. Jack Kopacka chipped in with a goal and two assists while Ryan Roth also scored a pair of goals each.